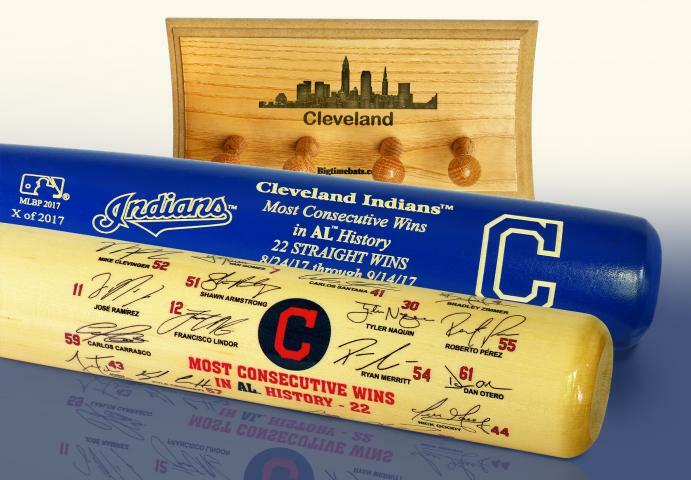 A special commemorative Two Bat Set honoring the 2017 Cleveland Indians and the team's historic 22 Consecutive Wins - establishing a new American League Record for consecutive wins. These two, full size bats are special commemorative editions. 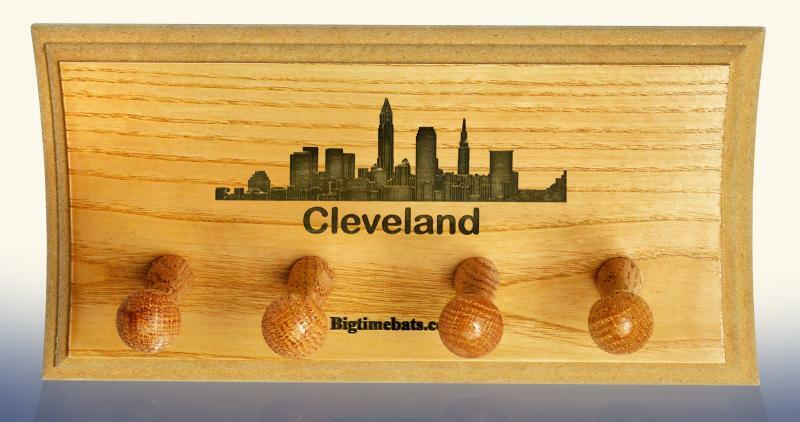 Each set includes one (1) authentic Louisville Slugger two tone 22 Consecutive Wins bat, one (1) full size team signature Consecutive Wins bat featuring facsimile *signatures of the Indians players on a 360 degree barrel wrap, and one (1) custom Cleveland Skyline Two Bat Display Rack. Due to the limited availability of this offer we must charge your credit card for the full amount immediately upon taking your order. This policy ensures we reserve a set for you. We will confirm your order by Email. These bats are not game used. Please allow 4 to 6 weeks for delivery. 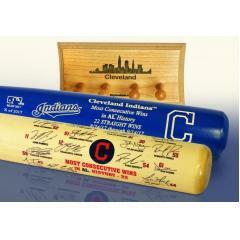 * Due to a contractual conflict, Jay Bruce does not appear on the signature bat.